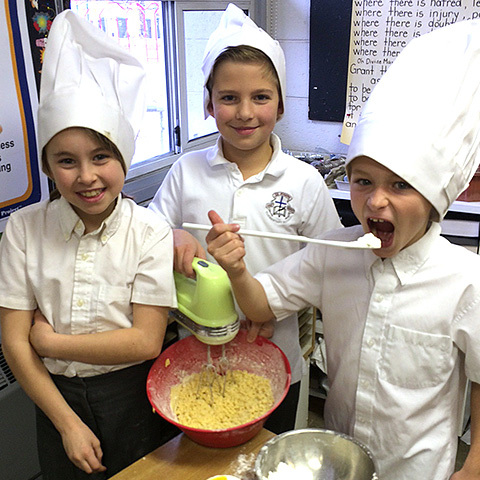 St. Joseph Catholic Elementary School is a Group 1 Independent School and as such, follows the curriculum requirements set out by the BC Ministry of Education. In addition to these standards, we strive to enrich the learning experience through extra-curricular activities and expanded programming. Our students participate in events such as the District Science Fair, annual speech competitions, sports tournaments, and Canstruction. 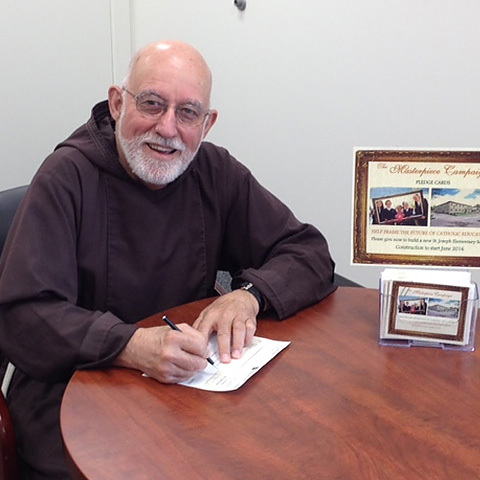 We are passionate about the importance of family, faith and community. Specialized programs to support students with learning difficulties or challenge students with gifts and talents ensure that each child has the opportunity to reach his or her potential. 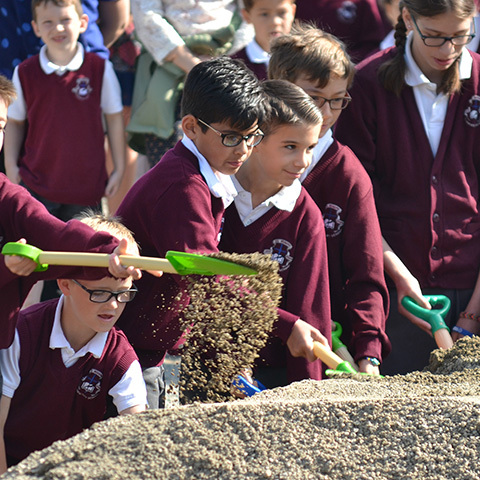 At St. Joseph we focus on educating the whole person, teaching children that they are valued members of a community and preparing them for life. 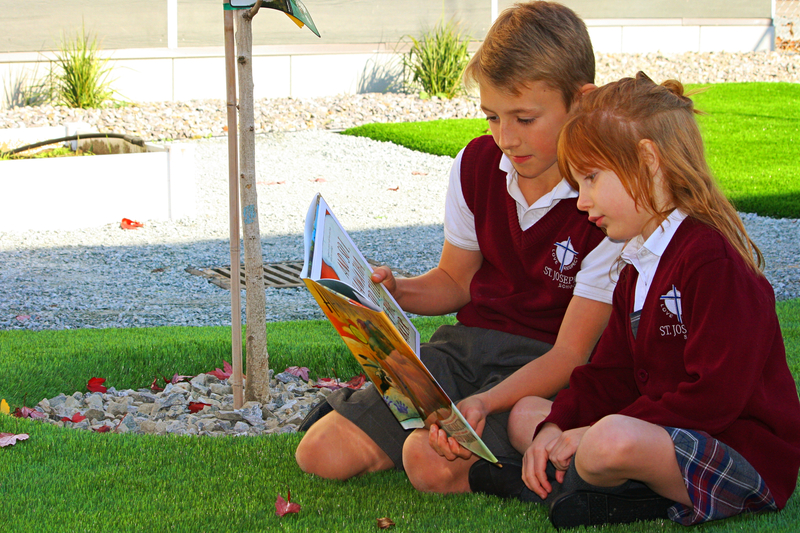 Outdoor learning is an integral part of the St. Joseph Kindergarten Program. 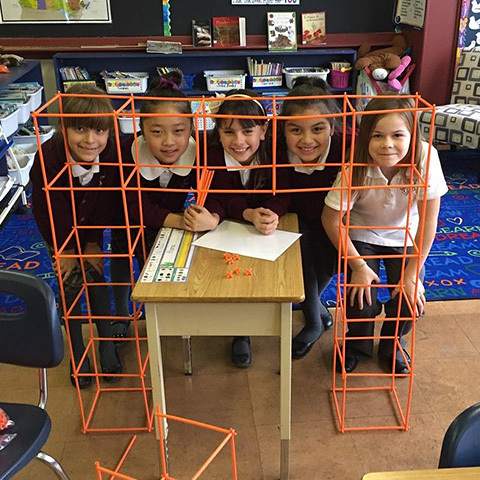 Given the freedom to explore, children are able to problem solve and interact in a way that supports the new BC Curriculum Core Competencies of Communication, Thinking, Personal, and Social. 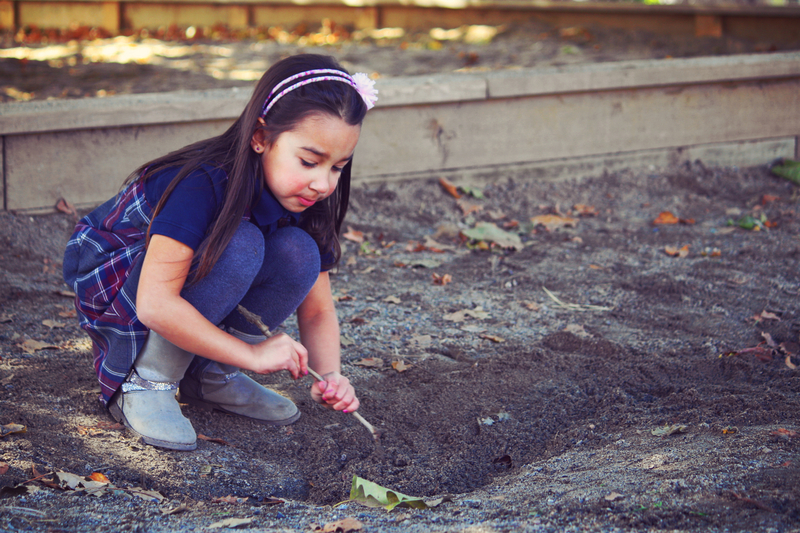 Based on a Know-Do-Understand model of learning, outdoor settings allow for hands-on interaction with the natural world. Students are keen to play, explore, and learn while growing in independence and teamwork skills. They use their imagination in many ways to interact with nature, open space, and each other. 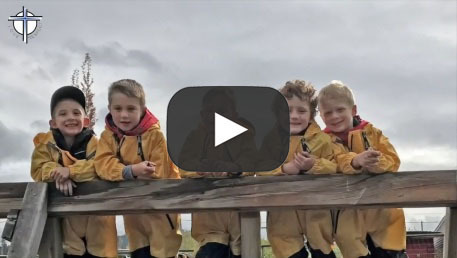 This unique program is supported by current research which shows the many positive health, social and learning benefits associated with children being given access to nature. It is designed to engage, challenge, and prepare students in a whole new way. Reading, writing, and numeracy are the building blocks of our Primary Program. 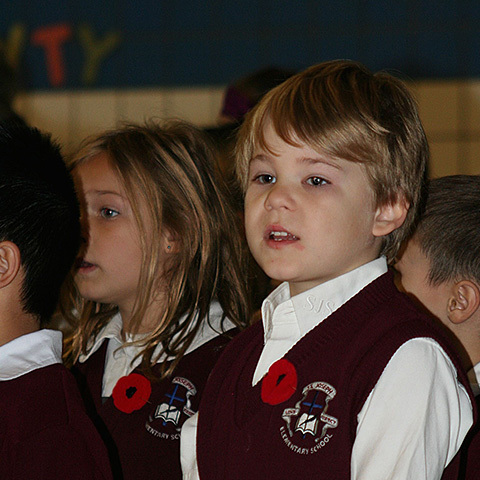 From Grades 1 through 3 our students develop intellectually, socially, emotionally, and spiritually. 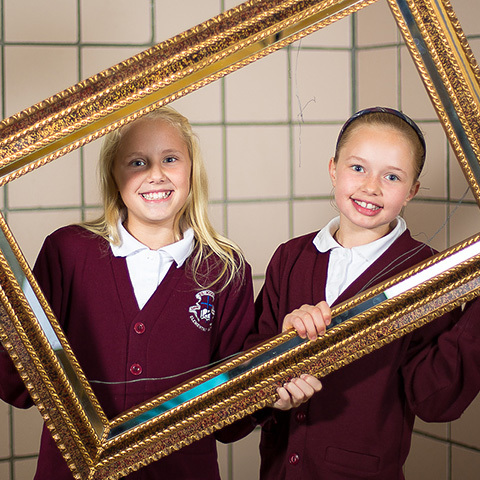 At St. Joseph School we recognize that every child is unique. 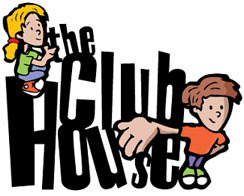 Our program accommodates a wide variety of children's needs, developmental stages, and learning styles. It addresses the development of the whole child with the understanding that children learn through active engagement and play. 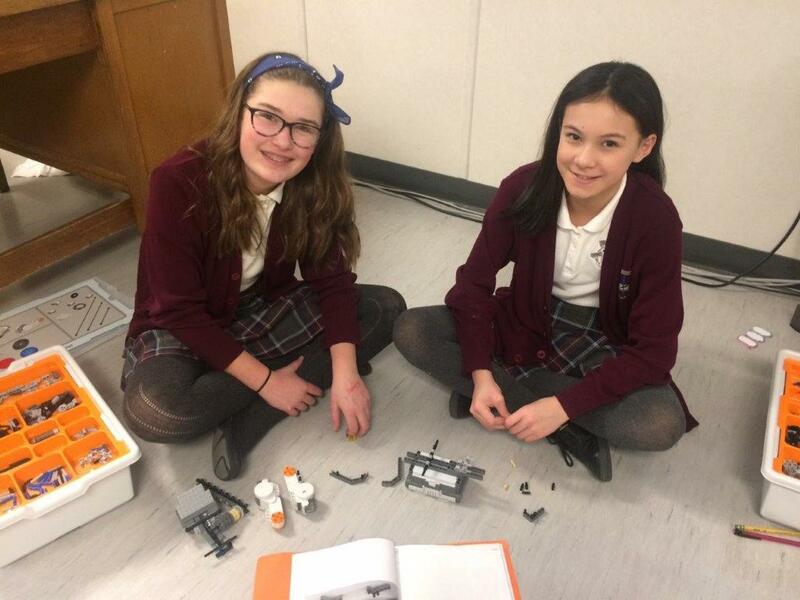 In the Intermediate Grades 4 and 5, learning should be both fun and engaging. Students at this age begin to take a greater level of responsibility for questioning, researching, and sharing what they know. Understanding that peer relationships are important, Intermediate teachers choose projects and assignments that encourage collaboration, communication, and compromise. At St. Joseph School our Grade 6 and 7 years are based on the Middle School model. Language arts, math, science, social studies, French, band, and physical education are all taught by specialist teachers. By sharing a campus with the Elementary students, our Middle Schoolers are empowered to be leaders and role models in a safe environment where all teachers know them by name. French as a second language is offered to all students starting in Kindergarten. Through a program of activities, songs, games, reading and writing, we expect students to develop an interest and enthusiasm for the French language and culture. The major focus is on oral language acquisition. A specialist French teacher teaches French as a Second Language in Grades 5 to 7. Integrating technology into the classroom diversifies learning opportunities and prepares our students for real world environments. In addition to a designated computer room, we have mobile iPad labs and SMART Board technology in every classroom. Subjects such as robotics and coding are explored in our Applied Design, Skills, and Technologies program. St. Joseph Elementary School: the right choice for your family!